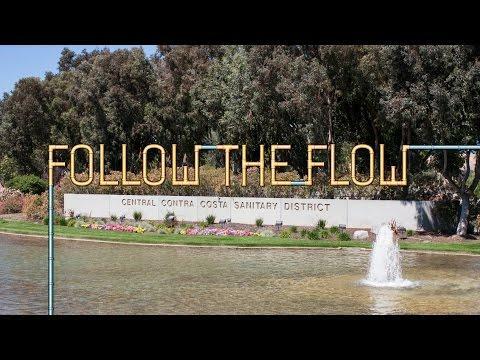 Opened in 1948 and upgraded several times in its 60+ year history, Central San’s Treatment Plant cleans an average of 34 million gallons of wastewater per day. Located in Martinez, the plant has a treatment capacity of 54 million gallons per day (mgd) and 240 mgd of wet weather flow. The Plant Operations Building houses the Control Center, a state-of-the-art computerized system that monitors and controls every phase of the treatment process. The facility is staffed 24 hours a day, 365 days a year. Wastewater moves through Central San’s 1,500 miles of sewer lines, finally arriving at the plant’s headworks to begin treatment. 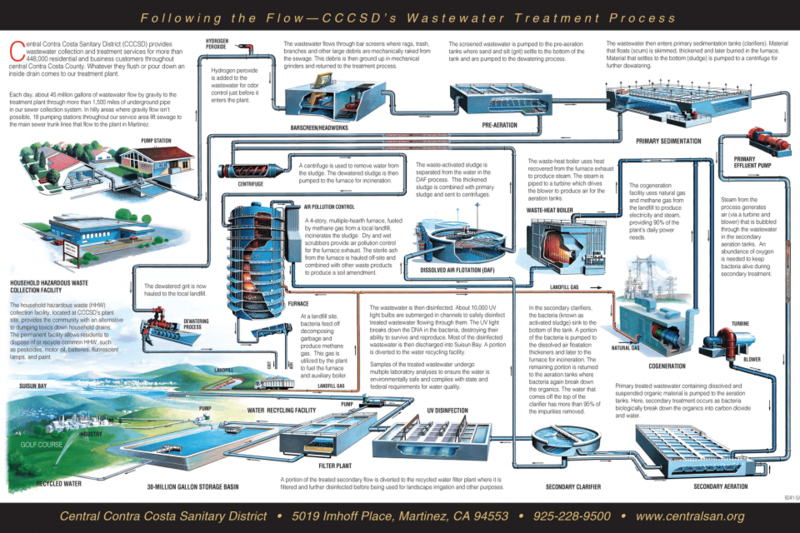 Most of the wastewater is treated to a secondary level, disinfected by ultraviolet light, and then discharged into Suisun Bay. 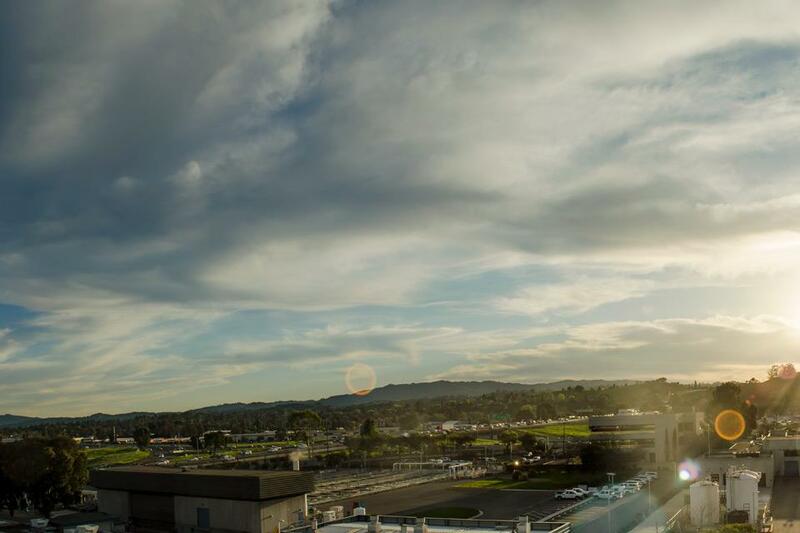 Approximately 600 million gallons per year are treated to a tertiary level through additional filtration and disinfection before being distributed as Recycled Water for landscape irrigation, industrial processes, and plant operations. Central San’s Treatment Plant recently received the National Association of Clean Water Agencies (NACWA) Platinum Award for its 20th year of complete compliance with all Federal and State regulations. 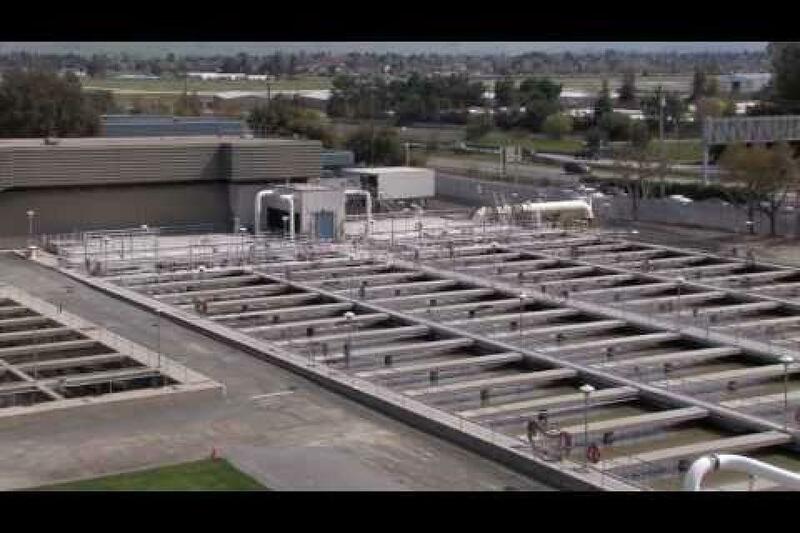 A video on how Central San uses biosolids to create energy.